Today I learnt from my current job how to create a new company. 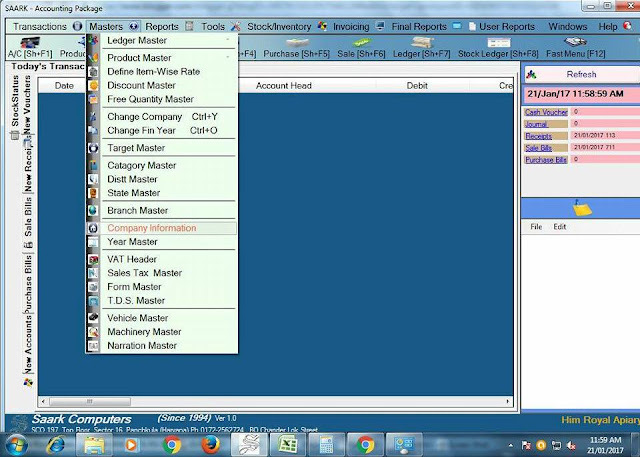 Company creation is the main part of accounting software. 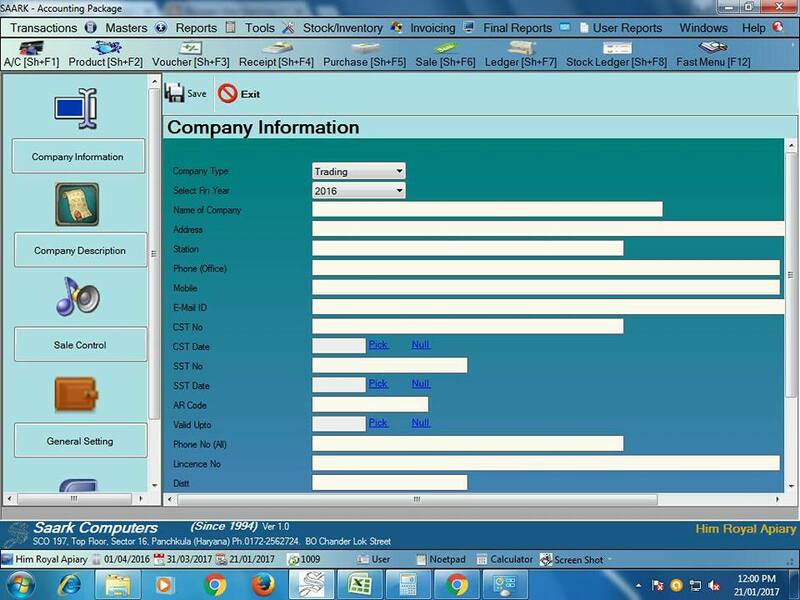 without creating any company we cant do any thing in software. For company creation we need all the information's related to company, like the name of company, address of company, contact details, registration number of company, PAN no of company etc. Now, I am going to telling you how to create a new company on SAARK Software. For creating company in Saark, following are its main steps. 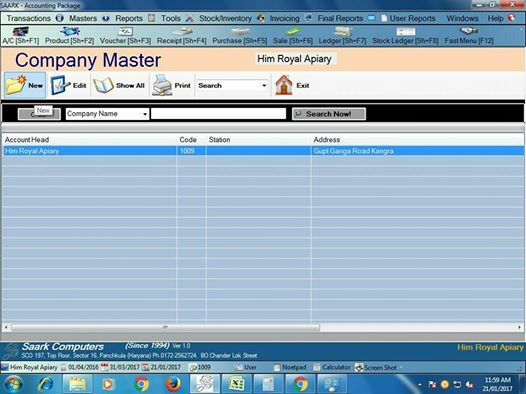 then click on company information option you will found a new page goto the left side where you will see a tab of NEW click on NEW tab after that you will see a new page where we can enter the company information's like company type, financial year, name of the company, address of company, phone number, e-mail, CST number, CST Date, SST number, SST Date, Licence number, contact person, TIN number, PAN number. Afer filling the details of company you can save the company information's from SAVE Tab which is the left side of page.